Legendary Forests is a multiplayer world-building game based on solitaire mechanics. Players are responsible for the creation of their forest, which they expand by placing tiles. Each player has the same tileset and begins with the same starting tile. Then, on each turn, a 'Leader' draws a tile, calls out its number and every player places their corresponding tile onto their landscape. Each tile is made up of a combination of four colours, and tiles must have matching adjacent colours to be placed. If a Leader draws a red numbered card, players must also select a tree to place. Trees appear in three colours and must be placed on a matching landscape. Legendary Forests is a reworking of Toshiki Sato's 2017 hit game 8Bit MockUp, which won Best Game at Tokyo Game Market 2017. Although the game has been relabelled, the mechanic will remain the same. Instead, all changes will be purely aesthetic and linguistic to fit this new theme (for example, all 'monuments' are now 'trees'). In Legendary Forests, scoring occurs based on the formation of circles through tile placement. The edge of each tile has a crescent shape that, when put together with another tile, form complete circles (called 'cookies' in 8Bit MockUp). After all twenty tiles have been placed by each player, scoring is completed based on the positioning of the trees in relation to completed circles, and the player with the most points wins! I genuinely like Legendary Forests. The solitaire-style mechanic ensures that personal strategy is unaffected, while also maintaining a competitive edge tot he game. My only query would be as to why this game needed to be rebranded for Western markets. Perhaps publisher IELLO felt the game would be more profitable under a different aesthetic, however, I personally would just as happily play the original 8Bit MockUp version. IELLO have scheduled the release of Legendary Forests for early 2019 (most likely to coincide with the Festival International des Jeux in Cannes). Until then, eager foresters can keep up to date through the IELLO website. Do Eastern games need rebranding for Western markets? Discuss! 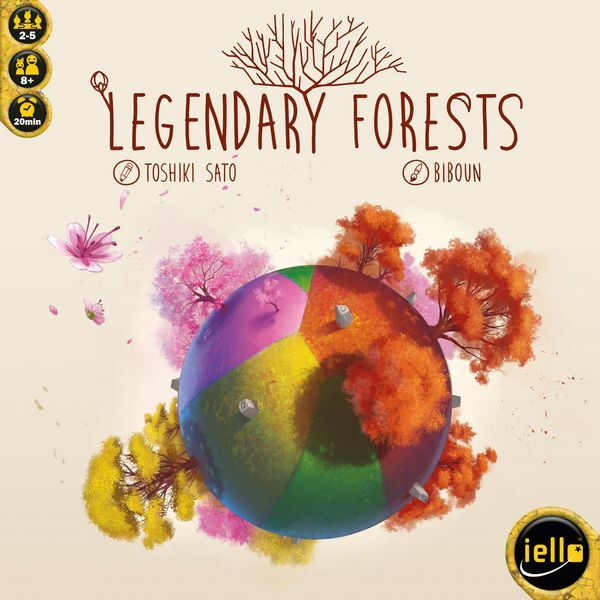 "Legendary Forests is a reworking of Toshiki Sato's 2017 hit game 8bit MockUp, which won Best Game at Tokyo Game Market!"